I am reminded exactly why it is that I believe in having a well-stocked pantry that has long shelf-life. I am also reminded as to why I do not invest heavily in canned goods if I can get away with it. That doesn’t mean that I don’t indulge in canned goods. They certainly have their place, but I definitely have reliable, clean, and safe substitutes on hand specifically to guard myself from the corruption, greed, deviant ethics, and just plain incompetence that plagues our food industry. It doesn’t take a famine or heavy rains to give us cause to be more independent in our own food supplies. There is plenty of cause every single day. A statistic recently caught my eye on a health food site claiming that in the last 2 years there have been more food recalls than in the last 15 years put together? After watching movies such as “King Corn”, “Super-Size Me” and “Food Inc.”, I feel sufficiently informed to the point that I know that there are ample reasons for me to take my food and nutrition matters into my own hands. As I shared in a previous article, the USDA, FDA, and grocery store names (i.e. “Whole Foods”) simply can’t be trusted to sustain a healthy life for my family. Don’t get me wrong. I have my Dr. Pepper/Krispy Kreme kind of days. As indicated by my physique. I’m not the epitome of a health food junkie. (Oh how I wish it were true, though—working on it.) But I do definitely rely more heavily on alternatives to so-called fresh produce, “Grade A” meat, and questionable processed foods. What are they? Top of my list is WHEAT. I use it in my breads, rolls, cookies, and I use it as a meat alternative. (See articles with “wheat meat” information by searching “wheat meat” in our search bar) Does anyone remember the scandal of when Home Pride Bread had used saw dust to sprinkle the top of their bread with to make it look more “whole grain?” Or how about the recall of pet food that was poisoned? How about the shortage of rice? Remember when spinach, lettuce, tomatoes and beef were recalled as the result of e-coli poisoning? Well, fortunately, wheat isn’t yet processed that questionably. I can replace a lot of vegetables with wheat by sprouting it. I can make a delicious meat substitute. And I can have safe and wholesome bread as well. Even better, I get to store the wheat with diatomaceous earth that takes care of any weevil problem but is actually GOOD for me. What a miraculous bargain there, eh? Freeze-Dried produce ends up being cheaper than fresh! Next, I’m a big fan of freeze-dried produce. Notice I said PRODUCE, not entrees. The produce HAS to be clean in order for it to vaporize properly. If it still has the pesticides, herbicides, etc. in it, then it won’t take the correct form during the freeze-drying process. (This is yet another reason why I like to double check the color, shape, and integrity of my freeze-dried produce before I invest heavily in it.) The good news is though, when I find a good freeze-dried product, I’m in heaven. No slicing, dicing, cleaning, picking, wasting, or bruising. I just pick up the handful and throw it in my soup. Or sometimes I cover it with water to reconstitute it and then use the now flavored water in some kind of delicious dish in addition to the fruit or vegetable. In fact, the other night I reconstituted some pineapple for a Polynesian Chicken dish. Instead of reconstituting it in water, I did so in chicken broth because the regular recipe I was adapting called for chicken broth in addition to the pineapple. So hey, why not multipurpose that broth? I do the same when I’m reconstituting fruit for a fruit mousse or Jell-O salad. Instead of just using plain old water, I use the water from the reconstituted fruit. It adds an additional depth of flavor that way. While you can’t label freeze-dried foods as “organic” per se, they certainly are clean and safe and MUCH less expensive than mysteriously labeled “organic” foods are today. Heirloom seeds are critical to my well-being in my opinion as well. I’m not a master gardener yet by any stretch of the imagination. But I am working on it simply so that I can have more independence from the mistakes of others. I don’t want DNA manipulated, chemical treated seeds. I want the good old fashioned kind that yield great foods that I can grow again and again and again. Remember, to me preparedness is all about being independent of vulnerabilities. When stories like I’ve shared with you above make it into the mainstream media, I know that they are just the tip of the iceberg. So I stay vigilant in protecting myself and my loved ones and I sure hope you do too. 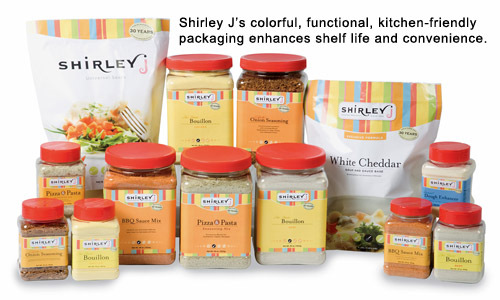 I love ShirleyJ's products too, but I understand that they have recently changed their recipes to add the items like MSG and oils that you mentioned in your article. This will shorten the shelf life considerably. This info comes from Chirine at Alpinefoodstorage.com and I consider her a reliable source. I was indeed sad to hear of the changes to the products. Do you know anything about this? I don't know if it affects all products but I know that it does involve the Universal Sauce/soup base mix. Actually, that couldn't be more false. Originally there was more oil and msg in the products. When the new owners bought the company they actually changed the formula to EXCLUDE msg and hydrogenated oils. In fact, they are presently trying to get rid of their older canned version of the sauce for example, and even though it's cheaper than the new packaging, I won't purchase it because it does have MSG and Hydrogenated Oils in it--because it's the OLD stuff. Sorry, but your source is very incorrect. If you look right on their new packaging, there's even a little star at the bottom that specifically says "no hydrogenated oils"
On the fivestarpreparedness.com website there are no fruits or vegetables listed. Do they have another website? Connie, I think that's because they were rolling them out as a group buy special for the month of March. So I'll keep you posted on that. Kellene, since you address the FDA, etc. in this post, I am very curious about your thoughts on STATE government regulation. Specifically, of water. I knew that in Colorado it had been illegal to harvest rain water, but apparently it is also illegal in Utah. They have just introduced legislation to change that, but they are placing limits on the amount of rainwater you can harvest, and you must register with the state, all of which I find appalling. I too am appalled by this. In fact, I didn't know about Utah! But I sure did know about Colorado. Just for the record, I'm opposed to stupidity on any level, from any organization and am very politically active. Fortunately, this law has never been enforced unlike the militants that observe and report in CO. Totally unrelated, but I had a question for you on the Shirley J products. My friend and I watched your webinar on Thursday and are interested in signing up as distributors so that we can do group orders for our ward. 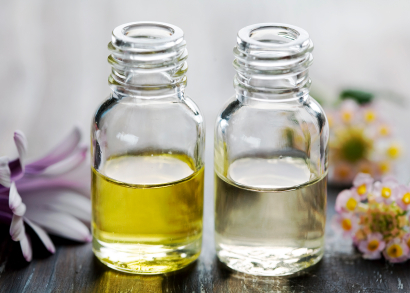 I have not been able to find ingredient information on the products on their website. I'm sure you wouldn't promote something with unhealthy ingredients, but I'd like to get more information on it. Could you send me a link with that information? Thanks. it's right on their website in a pdf format..front and center--or more like a little to the right if I remember correctly.